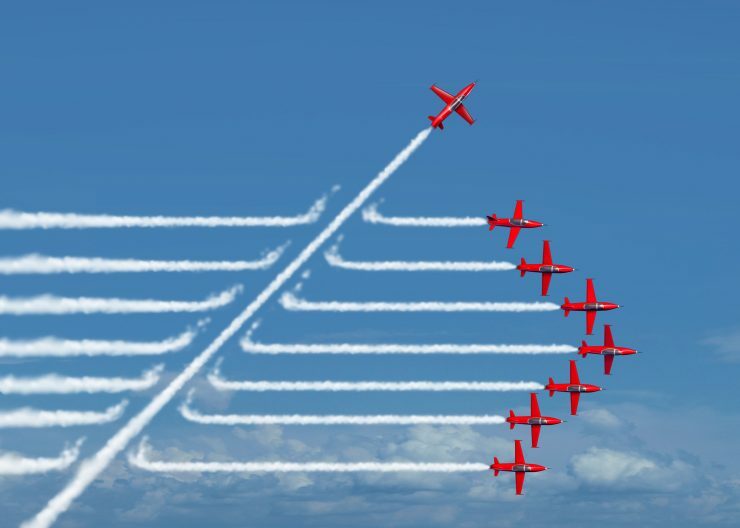 Whether you feel the golden era of manufactured spending has passed or not, the fact remains that opportunities tend to close faster than new ones open up. Pure manufactured spending (Read: Introduction to Today’s Manufactured Spending) is still viable, but it certainly has gotten harder. Reselling, which I propose to be the next frontier in manufactured spending is no easier. But I would argue that if you take a higher level view, it can open far more doors. It also is your entry into becoming a Weekend Entrepreneur. That means that you need to consider taxes and reporting responsibilities. Reselling avails you the opportunity to earn miles and points at negative cost. Choosing the right products that you can earn a profit on in their own right, means that the miles and points become pure gravy. Scale that up, and you’ll have no problem with frequent flyer program devaluations but remember, that Amazon can be just like an Airline, they make the rules. Because you are buying product, there is the risk that you might have chosen a bad product, or even if you’ve chosen the best product out there, you still have the liability of returns. Bottom line, there is more risk than just having to pay all of your expenses for a month with Visa Gift Cards (Read More: Considerations for Reselling as a Method for Manufactured Spending). You’re still interested – what are the next steps? The first step that I always recommend–once you’ve considered the risks—is to consider your risk tolerance and identify a seed budget. Yes, you want to generate thousands of miles and points, but you need to be reasonable as you dive into a business. You want to identify an amount of money that you are willing to lose. Reselling can be like gambling. You are making a bet that a product that you have purchased will sell. If it does sell, you are making the bet that you will make a profit or at least break even. So please, identify a budget and stick to it, as you get your feet wet in this new venture. Once you’ve identified a budget, consider what marketplaces you want to work with. I’m a fan of Amazon. Specifically, I am a huge fan of selling via Fulfillment by Amazon. Why? Because they do most of the time sensitive work. You source, prep, pack and ship your products to Amazon in bulk. Once your products reach Amazon’s warehouses, all you have to do is tweak the prices to get the products to sell. As your products sell, Amazon pulls them from the bins in the warehouse (read: A Look inside Amazon’s Warehouses) and ships them to your customer. Amazon provides all of the customer service unless the customer intentionally reaches out to you directly—via Amazon. In short – it makes reselling as a side gig feasible. Beginner’s Guide to Fulfillment by Amazon: Setting up an account: We’ll walk through what you need to do in order to set up an Amazon FBA Seller account. Beginner’s Guide to Fulfillment by Amazon: Analyzing and adding a product:Once you’ve gone and set up your account you’ll want to understand how to analyze a product to see if it makes sense to sell and if you can sell it. Then we’ll go through adding the product to your account. 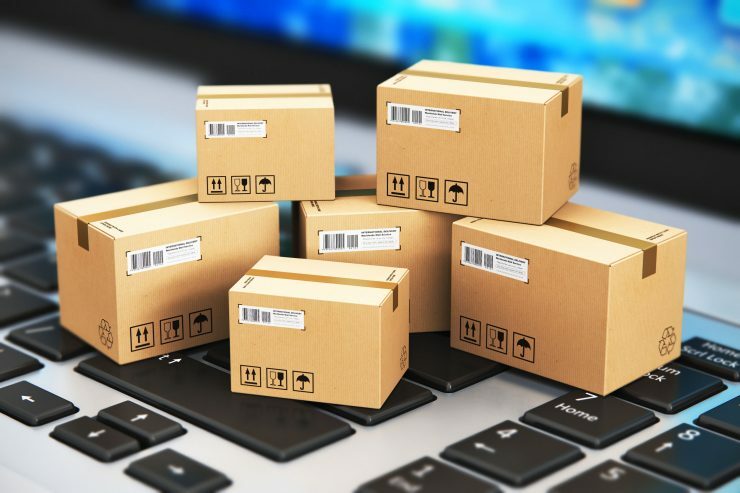 Beginner’s Guide to Fulfillment by Amazon: Shipping 101: Once you have a product to sell, you need to ship it, here are is the basic process of shipping into Amazon. Beginner’s Guide to Fulfillment by Amazon: Shipping 201: For those of you who want to send in more than one item type, this one’s a good read. Beginner’s Guide to Fulfillment by Amazon: Ungating Product Categories: Amazon restricts some categories, we’ll cover what those categories are, why it can be beneficial to get permission to sell in them, and how you can start the ungating process with Amazon. Beginner’s Guide to Fulfillment by Amazon: Amazon Seller App: One of the easiest (and free) tools for reselling is the Amazon Seller App, you’ll want to have this on your phone. Once you’ve cut your teeth and sent a few orders, you could even apply to join the Mile High Reselling Club. I realize that asserting that reselling as a method for manufactured spending is not a terribly popular idea within the reseller world. In truth, it increases competition, and it generally pushes down profitability in some areas. Just look at iPad or Apple Watch prices over time. That said, I don’t believe those depressed prices are primarily due to mile and point collectors. I tend to believe that anyone that gets into reselling will logically pursue profit as soon as they see how much work it is. If you think about it, Manufactured Spending is a lot of work in and of itself, and there your “profits” are usually in the single percentage range. With that said, I still believe Reselling is the next frontier in manufactured spending. I believed this 5 years ago when I started reselling, and it is true to this day, (Read more: My evolution as a reseller). Just know that there is risk, and this is a business. What does that mean? First, always pursue profit, the points will come. Furthermore, this can become work. For me, I bound it in such a way that I enjoy doing it. That doesn’t mean it always balances out though! During busy times like the fourth quarter, I commonly finish my day job only to come home and work for another few hours on the reselling business. Weekends can easily become more time for the reselling business. But you have to have boundaries. If you do, this is an excellent side gig that can also help increase your miles and points balances, and if you do it right, you should make some money too! Many credit cards offer opportunities to earn miles and points from signups and putting spend on your credit card. So you put your regular—or organic—purchases on your miles and points earning credit card, but if you’re like me, you find that the miles just don’t add up quickly enough for that next planned trip! So what other options do you have? More credit card applications? Paying cash—the terror! Or, you could add non-organic or manufactured spending to your credit card. 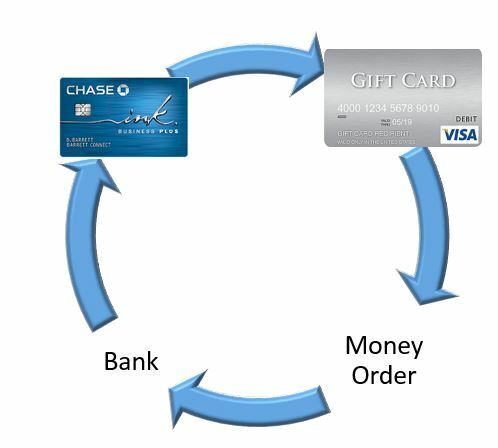 By its very definition, manufactured spending is creating spending, generally on a miles or points earning card for the purposes of generating miles and points at little or no cost. Manufactured spending has taken on many forms over the past decade or so. In the beginning it meant buying $1 coins from the US Mint, where you bought them at face value, but the US Mint picked up the shipping. Since you were literally buying money, it was as simple as depositing those pristine $1 coins at your bank of choice. Now this wasn’t the US Mint’s intent with offering free shipping, and ultimately the Mint decided to discontinue that practice, thus killing the opportunity. Since the US Mint, manufactured spending has taken on many forms. The method that propelled Frequent Miler to worldwide fame were with prepaid debit cards. You see we had this trifecta of Birds—well, two birds and a Serve—which history tells us, was a failed attempt of American Express to expand into a new market. First there was Bluebird, a partnership with Walmart, whereby one could load their Bluebird prepaid debit card at any Walmart cashier, or, in some cases, at a Kiosk at the Entrance (otherwise known as Kate). Many miles and point folks loved Kate. You might say that Kate was the girlfriend that helped us turn left when we boarded the plane, to settle into our comfy Lufthansa First Class seat with a nice glass of Champagne. Then there came Serve, to lesser fanfare, but still very lucrative as you could load Serve online. That’s right, you didn’t need to go to Walmart!. That helped. There were other benefits of Serve too. Finally, the trifecta of the “Birds,” The Target Redbird. If Greg the Frequent Miler was not a household name before, this certainly changed that. You see, the Target Redbird was everything anyone could have ever wanted in a prepaid card. You could load it at Target with first a Credit Card, then a prepaid Visa Gift Card. It gave you a 5% discount if you used it to purchase things at Target—including Starbucks! You could transfer the balance to a bank account or directly pay a credit card! There were even some other cool, yet shorter lived features. This was the pinnacle of easy, low hanging fruit manufactured spending. Yes you were limited to $5,000 per month per card, but you were only limited by your imagination as to how many redbirds you could get! Then, one day, Redbird died. I opined that there was still life in Manufactured Spending (read: Redbird is Dead, Back to Basics), which unfortunately is where we are now. You can still generate many thousands of miles and points by purchasing Visa Gift Cards and other similar instruments. You just have to work harder in liquidating or converting those Visa Gift Cards into cold hard cash. The costs to achieving that liquidation have also increased over and above the prepaid Redbird cost. Is it still achievable? Of course, but it takes time, patience, and in some cases, a lot of experimenting and trial and error. While manufactured spending is completely legal, there are some aspects that can put you in the gray area. One area in specific is how you deposit those money orders into your bank account. Structuring those deposits to avoid federal reporting requirements, should be avoided at all costs. Structuring is the practice of intentionally depositing less than $10,000 in monetary instruments or cash, in a reporting period or single transaction. There are varying interpretations of what constitutes structuring. Some will argue that depositing Money Orders doesn’t result in required federal reporting. I won’t argue the point, I will just say this: Don’t Structure. Manufactured Spending is a great way to increase your miles and points balances. It takes work, don’t think that it doesn’t. Is it worth the time? I tend to think so. Consider it this way, miles and points are essentially a discount. They still have a cost. Visa Gift Cards have an activation fee cost (e.g. $6.95), Money Orders have a cost, your time has a cost. So consider all of those factors, and decide for yourself if its worth it. 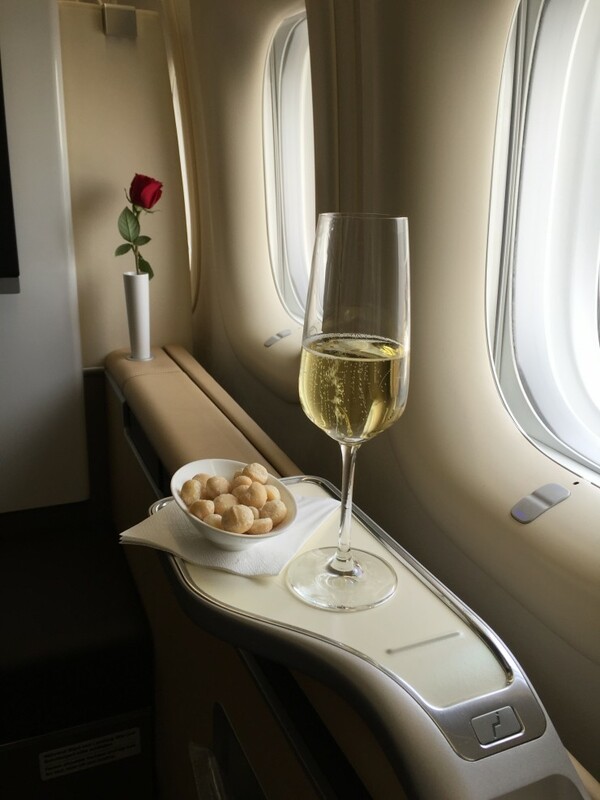 Often times, if you are traveling in premium cabins, that cost is worthwhile. Why? Because the marginal cost between an premium cabin cost on miles as compared to paying outright for that premium cabin ticket can often be very significant.